High-speed rail has a future in California. This is the age of the train: certainly in Japan and in Europe; probably, soon, on the East Coast. The urgent question is whether California will catch the train, whether indeed it should catch the train, and if so how. Modern high speed train travel involves trains that achieve sustained high speed – a minimum of 125 mph, a maximum in revenue service so far of 187 mph – between cities that are typically between 100 and 500 miles apart. It all began exactly thirty years ago, when the Japanese opened their Tokaido Shinkansen between Tokyo and Osaka. It took nearly another two decades before France followed suit with its TGV (Train a Grande Vitesse) over the 270 miles between Paris and Lyon in 1981. But since then, high-speed trains have proliferated. In 1990-91 the French opened a second line, the Atlantique between Paris and the Atlantic coast, running at 187 mph in regular service. In 1993 a third, the north line between Paris and the Channel coast opened; it will link to the Channel Tunnel when the latter opens this summer. Germany has its Inter-City Express linking Hamburg and Munich at speeds up to 155 mph; Sweden its X-2000 tilt train; Britain, Spain, and Italy also have high-speed trains; and Europe firmly plans a network which in twenty years will link all the continent’s major cities. Meanwhile, back home in the United States, there isn’t one single mile of true high-speed rail. The nearest is the East Coast Metroliner, which is now slower than two decades ago but is about to receive a major upgrade. Texas plans a TGV system linking Dallas-Fort Worth, Houston, and San Antonio, but major funding problems have surfaced since Morrison-Knudsen pulled out of the consortium. There is no firm proposal for California, even though prospects here are better than almost anywhere else. But now, Governor Pete Wilson has appointed a high-speed rail commission, which began work at the end of last year to produce a blueprint for a system. So it was fortuitous that a group of us at the Berkeley campus had just conducted an independent assessment of prospects, coming out of a two-year study. First, we made a systematic technical and commercial evaluation of the main Japanese and European contenders: the Shinkansen, the TGV, the German Inter-City Express, the Italian and Swedish versions of tilt trains, and the British InterCity services, together with German and Japanese versions of magnetic levitation (maglev) technology. All the regular steel-wheel systems are in regular revenue service, for periods ranging from one to thirty years; the two maglev systems are still in the test-track stage. Our firm conclusion from this first phase of the study was that if California needs to take a decision now, traditional steel-wheel technology is preferable to maglev, for two main reasons: it is proven in revenue service, extending to millions of miles in the Japanese and French systems, and it can run on existing rails into downtown stations, without expensive new land acquisition and construction. Further, it can fan out to serve a variety of destinations on existing rails, running at lower speeds, as do both the French and German high-speed trains. Thus, the entire system can be built up incrementally, assuring good value for money. The French, for instance, are extending their original South East line from Lyon down the Rhone valley and plan to get it all the way to Marseille by the end of the decade. California could and should use the same approach. We’ve specified next-generation, state-of-the-art TGV-type technology, running between the state’s cities at up to 220 mph on new, dedicated tracks used exclusively for high-speed passenger service. If that sounds fanciful, the latest French trains are already capable of nearly 200 mph. that does not mean a preemptive decision in favor of French Technology: we suggest that there should be an open competition, as in Texas. The Japanese and the Germans are both developing second- or third-generation high-speed systems, which should be able to challenge the French on speed and performance. Working on that basis, we’ve surveyed the most promising route options for a California high-speed train system, which we call CalSpeed. It is clear what such a system must do. First and foremost, it must link the two biggest markets in the state, Greater Los Angeles with more than 14 million people and the San Francisco Bay Area with more than 6 million. As one of the busiest air traffic corridors in the world, this is one of the best prospects for high-speed train travel in the United States, and probably in the world. It is not as good as the Japanese Tokaido corridor-nothing is-but it is better than some successful European high-speed corridors such as Paris-Lyon-Marseille. But its commercial success, in competition with the airlines, will critically depend on how fast it can cover the intervening 400 miles. 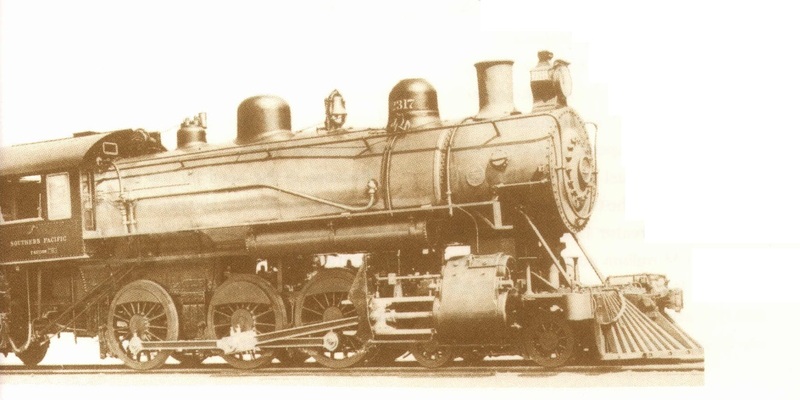 Because of the need for top speed, the mainline would be a 100 percent new system following the most direct route up the Central Valley, but we also suggest an option: by a diversion of only an extra few minutes, the line could serve the fast-expanding Lancaster-Palmdale area and Bakersfield. This would allow it to avoid the very costly Grapevine crossing of the Tehachapi mountains. North of Fresno, the mainline would throw off a spur to serve the northern central valley communities of Modesto, Stockton, and Sacramento. 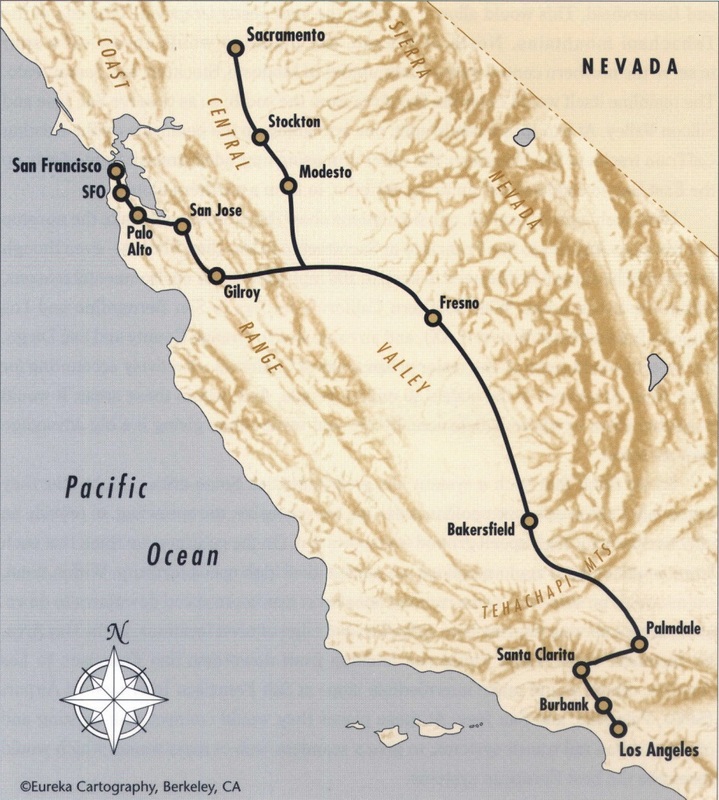 The mainline itself would enter the Bay Area from the south, so as to serve San Jose and Silicon Valley. At San Jose it would split, one arm going up the peninsula on the existing CalTrain tracks to San Francisco, the other arm using upgraded Amtrak right-of-way up the East Bay to Oakland and on to Sacramento, to form a northern loop. We’ve specified next-generation, state-of-the-art TGV-type technology, running between the state’s cities at up to 220 mph on new, dedicated tracks used exclusively for high-speed passenger service. With such a configuration, our simulations show that trains could make the nonstop run from Los Angeles to San Francisco or Sacramento in less than 3 hours – even though they would be slowed by the need to keep to 100 mph speeds, for environmental reasons, within the urban areas. 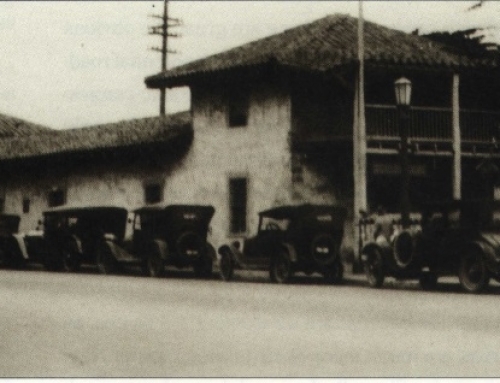 With Southern California feeders to San Bernardino and Los Angeles International Airport (LAX), and an extension to Orange County and San Diego, the system would serve all the major urban areas of California, effectively accounting for more than 80 percent of the state’s 30 million people. And, within these areas, it would penetrate close to where people actually live and work-thus giving it a big advantage over air travel. So we think that such a system has great potential. Some critics doubt this: they argue that California’s metropolitan areas are too extensive, too sprawling, to provide an effective basis for high-speed ground transportation. On the contrary: we think that such large, multicentered agglomerations are almost ideal high-speed territory. Within them, trains could run skip-stop, some running nonstop at maximum speed downtown-to-downtown, others serving intermediate suburban and edge-of-town locations. In the Bay Area, for instance, some trains would run nonstop from downtown San Francisco to Los Angeles; others would make intermediate stops at San Francisco International Airport (SFO), Palo Alto, and San Jose. At these places they would connect with existing and planned urban rail transit systems, to give a seamless web of mass transit which would resemble the best European systems. 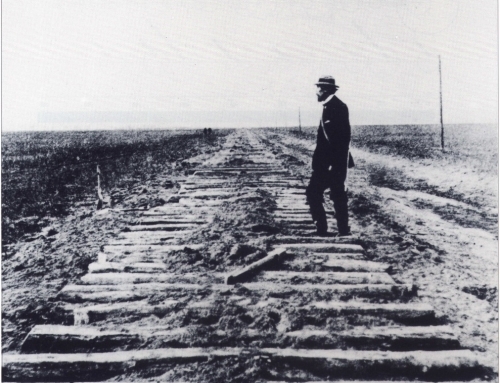 Again, some experts think that California’s topography is too harsh for effective rail operation. But Italy and Switzerland both operate effective rail service; Italy and France together plan to pierce the Alps for high-speed service between Paris and Turin. The French TGV is quite capable of running on gradients of 3.5 percent, and it’s safe at that speed. With such a profile the Californian system could actually be built without the need for many long or costly tunnels, at a cost of around $11 billion. But we do not want to act as PR agents for high-speed rail. On the contrary. In our second year of work, we have been conducting a hard-nosed, even skeptical look at the market prospects. 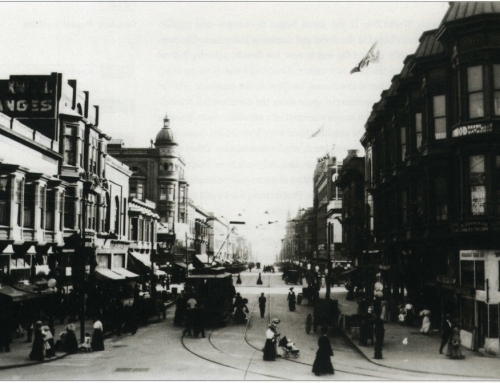 Because funds were limited, we were not able to undertake the elaborate market surveys that ideally would have been conducted. But passenger surveys in Bay Area and Southern California airports lead us to conclude that the trains could win perhaps a slightly larger share of California’s intercity traffic than would air. The projected shares of current air traffic from the Bay Area to L.A in 2010 are: auto, 69 percent; high-speed train, 17 percent; air, 14 percent. The baseline forecast for the San Francisco-LA sector is nearly 7.0 million passengers by 2010. A less frequent service would have only a marginal effect on this projection; a higher fare could cut ridership by as much as 20 percent. In arriving at this figure, because of the long and sorry history of over-enthusiastic forecasts, we have taken great care to underestimate the potential traffic. For instance, the projection deliberately ignores the rail potential for shorter journeys, like San Jose to San Francisco, which would mainly be won from automobile commuters. High-speed rail commuting, within the 50- to 100-mile range, is one of the most promising market prospects for rail in California, but it’s one that has so far gone unestimated. When the California economy recovers from the current recession, rail could serve new Central Valley communities between Sacramento and Stockton, or in the Palmdale area, offering their residents the prospect of fast, comfortable rides to downtown offices. Again, the projection completely ignores newly induced traffic, which other studies suggest could represent anything between 5 percent and 30 percent on top. And it deliberately takes no account of the potential of the shorter-distance feeders in our proposed network, such as the Capitol Corridor between Sacramento, West Oakland, and San Jose. If the present line were upgraded and electrified, high-speed trains could run on it, providing direct service from the East Bay to Southern California. This might give a big increase in service level to some communities, such as the North Bay, which at present suffer from poor accessibility to Bay Area airports. High-speed rail commuting, within the 50- to 100-mile range, is one of the most promising market prospects for rail in California, but it’s one that has so far gone unestimated. The critics doubtless will argue that, even so, our projections are optimistic because they do not account for the likely price war that would follow the opening of any high-speed rail system in California. California now enjoys one of the world’s most completely deregulated and fiercely competitive air markets, with a particularly gungho player in the form of Southwest Airlines. This is true, but all the evidence suggests that as a result airlines’ profit margins are cut to the bone. They simply do not have the capacity for a sustained price war. So, if the projection looks good on the basis of the present price structure, it should be pretty robust for the future. The only factor that might alter that is higher airline efficiency arising from a shift to wide-bodied jets on the California shuttle services; but on present loadings, it would be impossible to do that and still offer the current frequency. And, if rail takes a substantial traffic share, that would further delay the incentive to introduce 767s, or their successors, on the SFO-LAX service. The final stage of our work for the commission involved looking at alternative visions of high-speed rail service for California. In particular, we studied a series of rail corridors between major cities, to see how they could be upgraded for high-speed services and what the costs might be. The upgrade would take these lines up to a best-case performance level of 125 mph diesel-hauled trains, equivalent to those now running on the British InterCity services. It could prove an effective answer for some of the less heavily trafficked routes, although it is doubtful whether it could ever provide a cost-effective answer for the San Francisco-LA. core route. For the future, California will need much more detailed, rigorous, and therefore costly studies-above all, of the market potential for the network. High-speed rail should be able to provide a commercial service competing effectively and fairly with airlines and with cars. It should not and need not be a subsidized technological white elephant. Experience in Japan and Europe provides abundant evidence for that. Roger Barnett, “British Rail’s InterCity 125 and 225,” 1992. UCTC No. 114. Roger Barnett, “Tilting Trains: The Italian ETR and the Swedish X-2000,” 1992. UCTC No. 113. Peter Hall, Daniel Leavitt, and Erin Vaca, “High-Speed Trains for California. Strategic Choice: Comparisons of Technologies and Choice of Route,” 1992. UCTC No. 104. Peter Hall, Daniel Leavitt, and Erin Vaca, “High-Speed Trains for California. 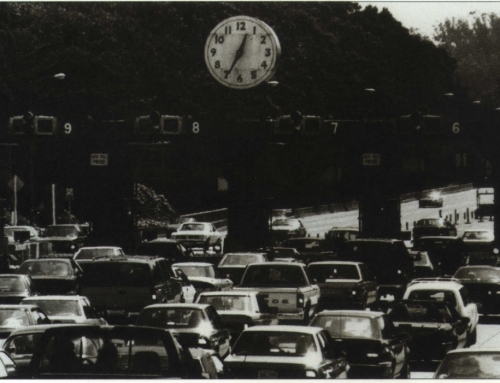 Volume II: Detailed Segment Descriptions, Cost Estimates, and Travel Time Calculations,” 1992. UCTC No. 105. 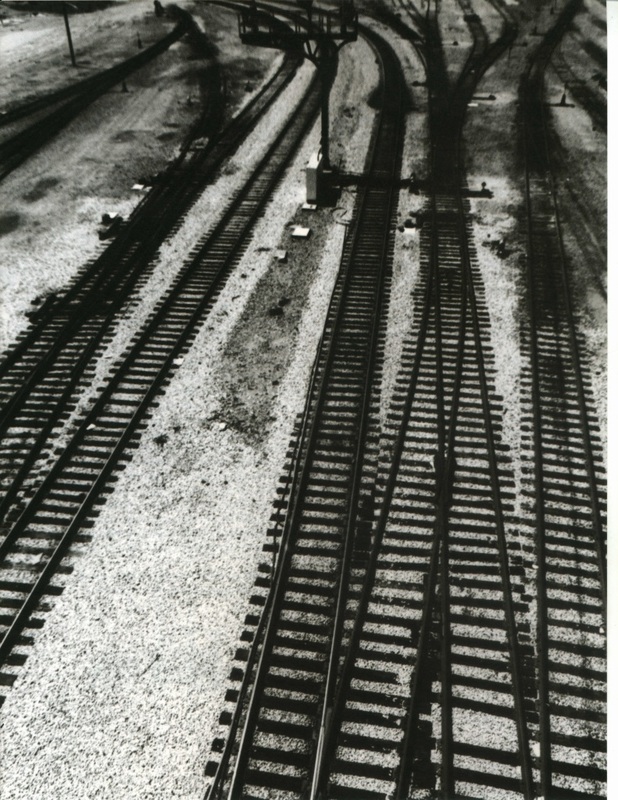 Daniel Leavitt, Sean Ennis, and Pat McGovern, “The Cost Escalation of Rail Projects: Using Previous Experience to Re-Evaluate the CalSpeed Estimates,” 1993. UCTC No. 156. 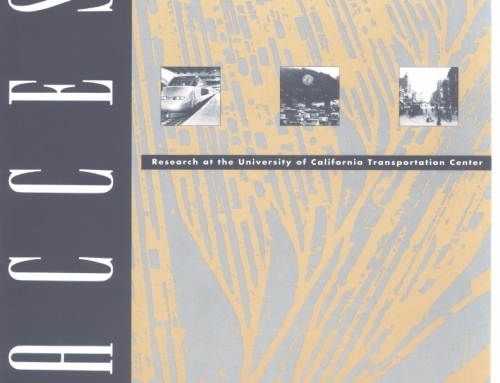 Daniel Leavitt, Erin Vaca, and Peter Hall, “Revenue and Ridership Potential for a High-Speed Rail Service in the San Francisco/Sacramento – Los Angeles Corridor,” 1994. UCTC No. 185. Brian D. Sands, “The Development Effects of High-Speed Rail Stations and Implications for California,” 1993. UCTC No. 115. Brian D . Sands, “lnterCity Express: A Technical and Commercial Assessment,” 1992. UCTC No. 101. Brian D . Sands, “The Transrapid Magnetic Levitation System: A Technical and Commercial Assessment,” 1992. UCTC No. 183. 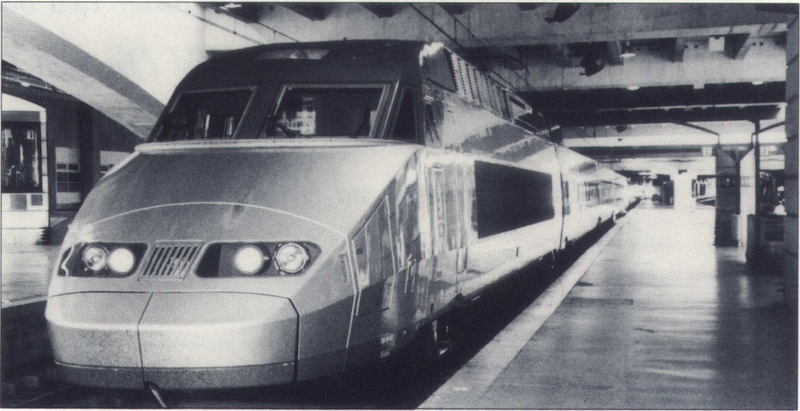 Walter C. Streeter, “The French Train a Grande Vitesse: focusing on the TGV-Atlantique,” 1992. UCTC No. 100. Mamoru Taniguchi, “High-Speed Rail in Japan: A Review and Evaluation of Magnetic Levitation Trains,” 1992. UCTC No. 102. Mamoru, Taniguchi, “High-Speed Rail in Japan: A Review and Evaluation of the Shinkansen Train,” 1992. UCTC No. 103. Erin Vaca, Thomas Bordeaux, Daniel Leavitt, and Peter Hall, “Revenue and Ridership Potential for a High-Speed Rail Service in the San Francisco/Sacramento – Los Angeles Corridor: Technical Appendix,” 1994. UCTC No. 186.